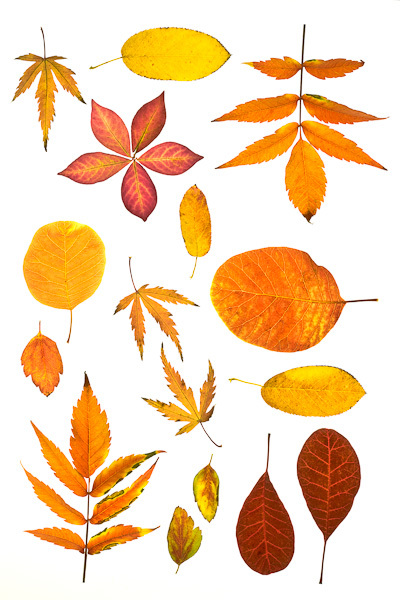 A collection of leaves gathered from our garden showing the diversity in shape and Autumnal colours. When seen in situ on branches, the structure and shape of the leaves can be eclipsed by the mass riot of color. Backlighting the leaves helps to reveal their internal structures.